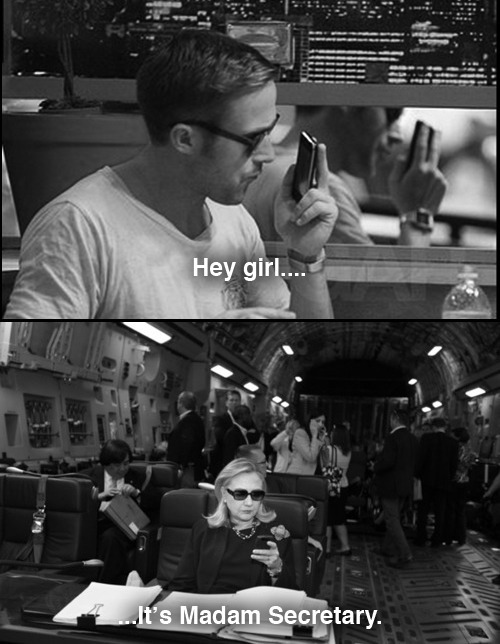 When did Hillary Clinton become cool? Was it during her globe-trotting as secretary of state in caftans or with her hair pulled back in an ironically hip scrunchie? Was it when she traded funny letters with the actor Jason Segel? 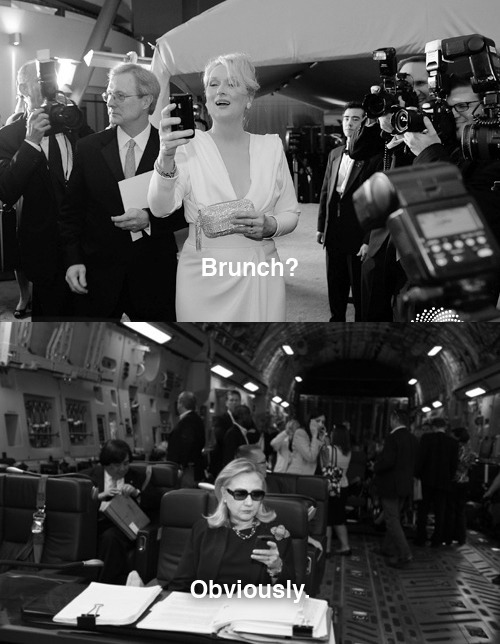 Or when she starred in her own Tumblr meme? Williams was coming off an awards season in which he’d won four Grammys and been nominated for an Academy Award for his global hit “Happy.” Which is to say: He was at the height of his cool and, now with his imprimatur, so was HRC. Six years ago, when Clinton ran to be the Democratic nominee for president, she had been anything but. “I’m not backing Hillary Clinton,” declared the feminist writer Courtney Martin in a Glamour blog, “and that’s at least in part because she reminds me of being scolded by my mother.” That’s how young voters, especially women, thought of Clinton in 2008. But now, she’s the grandmother they want to hang out with, the kind of maturing hippie who might smoke pot with them on the back porch (probably while calling it grass). More than anything, the transition from nightmare mom to fun granny could signal that she will inherit President Barack Obama’s diverse, urban, young coalition if she chooses to run. That is, if she can keep it up. In 1960, when John F. Kennedy was busy becoming the youngest president elected to office, youth culture was moving into prominence. Here was a man of medication-enhanced vigor with an impossibly stylish wife, literally and figuratively cooler than his opponent, Richard Nixon, during the first televised presidential debate. Possessing a certain élan hasn’t proved to be a requirement for the Oval Office—see Gerald Ford, Jimmy Carter, George H.W. Bush, and, of course, Nixon—but it can be helpful. Bill Clinton played his saxophone on late-night television, George W. starred as a class-clown kind of cowboy, and now we have Obama, another young president with a glamorous and popular wife. In 2008, Clinton was so stifled and baldly political that she rarely seemed human. The one time she leaked emotion—at a diner in New Hampshire, when she teared up after being asked about the stresses of campaigning—she won that state’s primary, becoming the first woman to do so. That she rarely talked about potentially being the first female president alienated young women, who had grown up in an era of liberalism in which the rights of women and minorities went hand in hand with all other aspects of a progressive agenda. Her history-making run should have been an important part of her message, but in its absence the annoying-mom stereotypes filled the vacuum. It didn’t help that she seemed aggressively tone-deaf when wooing younger voters—after all, she chose a Celine Dion song for her campaign anthem. Meanwhile, Obama was reaching out to the YouTube set, casting his image all over social media, serving as a muse to musicians who set his stump speech to song, inviting everyone to help him make history. The new persona may have been just as much of a mask as the one she wore in 2008, but it felt more genuine, not least because it had shades of her character pre–Monica Lewinsky. During Bill’s first presidential campaign, she famously responded to those who criticized her for maintaining her career while her husband was governor of Arkansas: “I suppose I could have stayed home and baked cookies and had teas, but what I decided to do was to fulfill my profession which I entered before my husband was in public life.” The line yielded widespread derision. More than 20 years later, she’s Sheryl Sandberg’s ideal for leaning in. Within a week, Smith and Lambe attracted 45,000 followers on Tumblr, were mentioned on NPR’s Morning Edition, and were retweeted by Roots drummer ?uestlove, arguably millennials’ favorite American. Soon after, they received an invitation to meet Clinton at the State Department. A picture of them with the secretary, donning sunglasses, appeared on Tumblr, and she and her office made their own submission, with the textspeak “ROFL @ ur tumblr! g2g—scrunchie time. ttyl?” Smith and Lambe showed the great sense to go out on top: They said goodbye the next day. 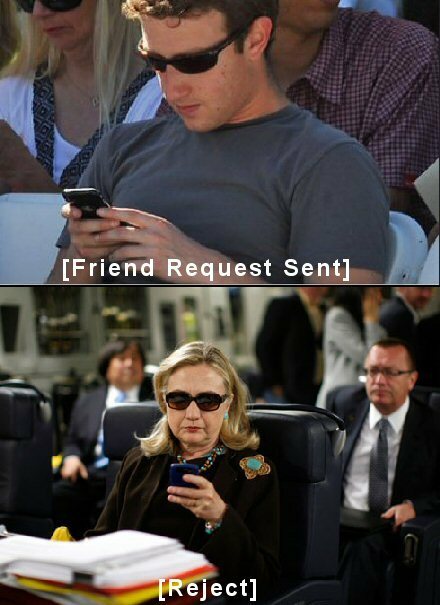 Clinton was suddenly willing to poke fun at herself. That was a huge shift. She acknowledged in a way she didn’t in 2008 that her image had a life of its own, one she could play with. She was clearly aided, or at least schooled, in social media and textspeak by younger staffers—no one who’s ever witnessed the horror of a parent following them on Twitter would doubt that—which meant she was willing to admit some things were beyond her expertise, providing more evidence she was at her chillest. It’s such a change from her naked, off-putting ambition in 2008 that it’s difficult to imagine her going back to the pantsuit-wearing candidate. 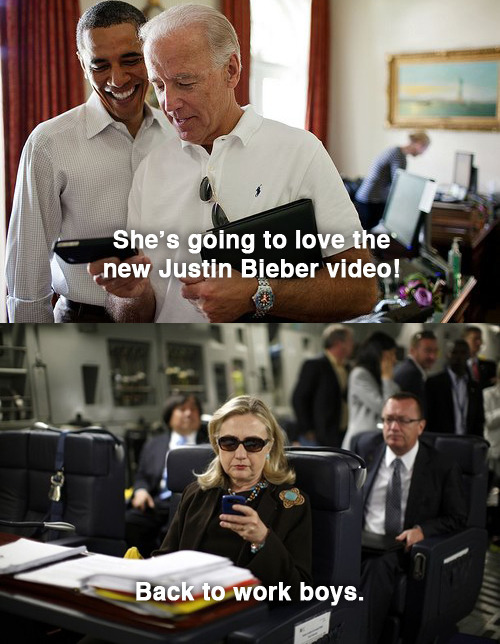 It’s a sad fact of Clinton’s life that we seem to love her most when she’s not quite top dog. 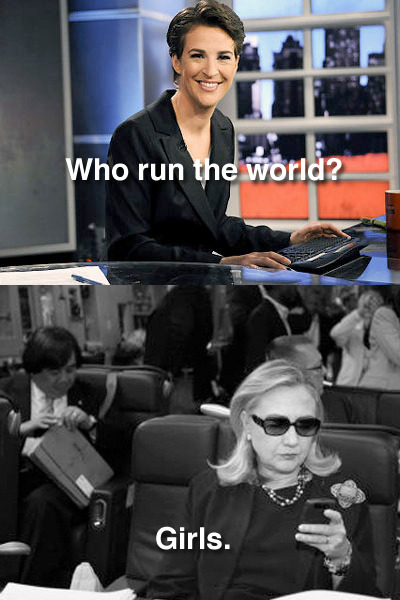 If she enters the 2016 race, she’ll be the front-runner on the Democratic side, and that was a tough role for her to play before. Part of what lent Obama a sense of cool detachment was that even he seemed to believe he was unlikely to get the nomination. Clinton has always really, really wanted to win, which is definitely not cool. This article appears in the July/August 2014 issue of The American Prospect magazine.